CUSTOM BEAUTY on LONGHORN in Coveted Three Crosses. 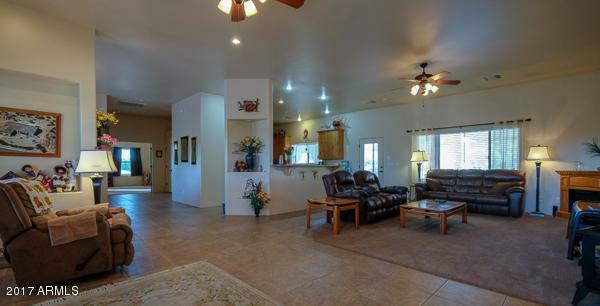 This open one level home has a split floor plan with Three Bedrooms and an office. Great Room Living. 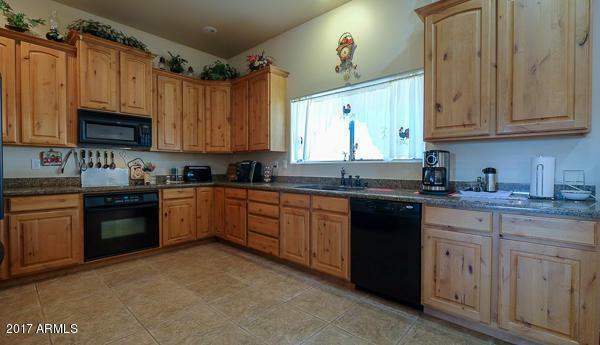 Home has Knotty Alder Cabinetry which combined with the granite counters make a dream kitchen. Large Walk in pantry too. Office has customized built in cabinetry, but could be a fourth bedroom. Spacious Master Bedroom and Bath. Bath has a jetted tub and large walk in tile shower. Home office center off of kitchen. 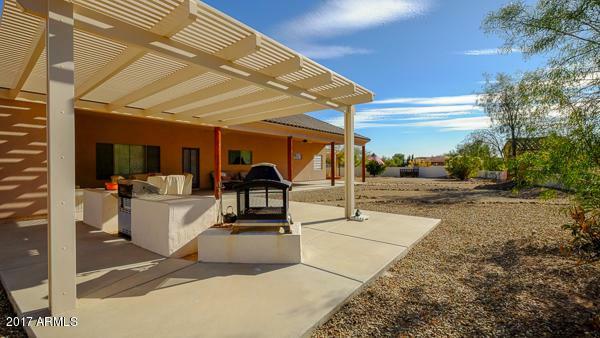 Patios all around encourage outdoor living in this private landscaped yard. Outdoor kitchen area. Walled courtyard at back. 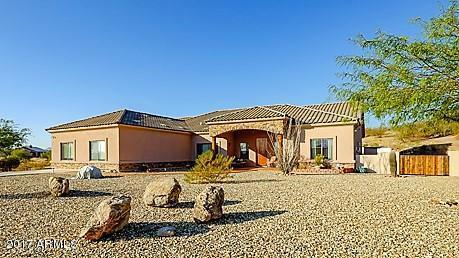 Come view this one owner home in Western Wickenburg. Close to 3 Golf Courses.